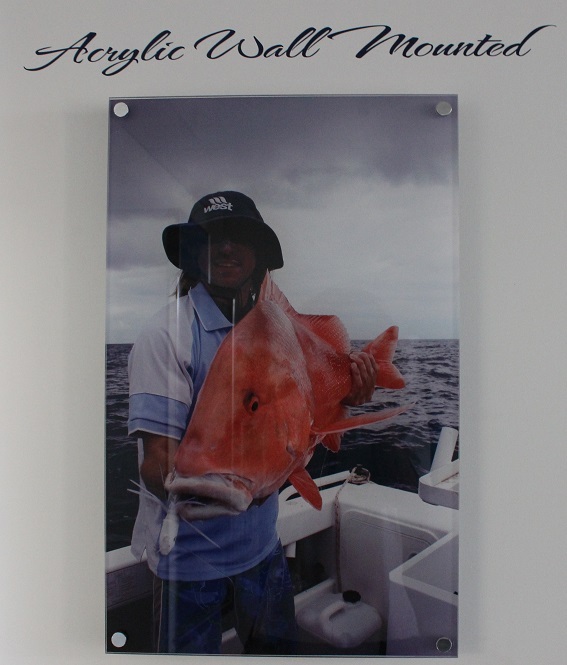 Do you have that great fishing or boating photo that you would like to proudly display? 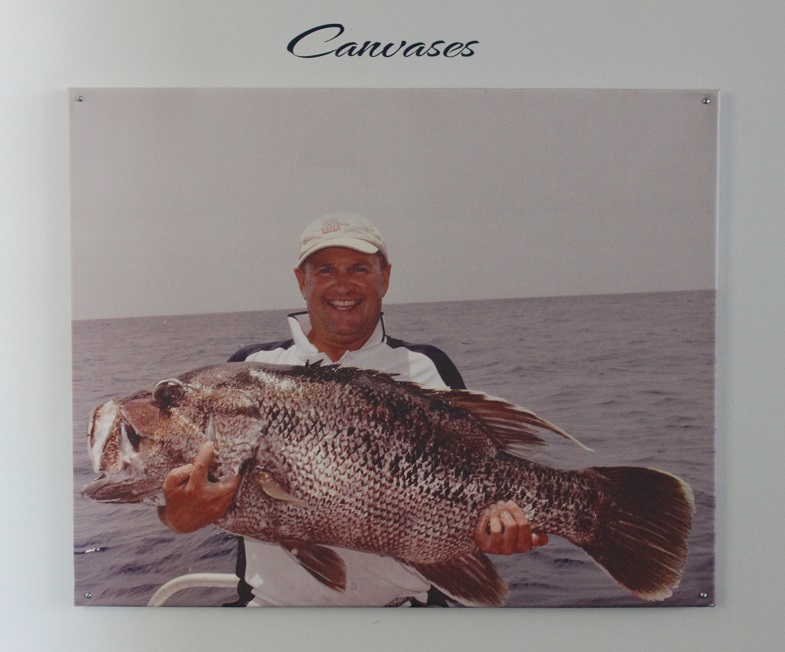 ​Shore Catch has partnered with a local Wangara company that can produce a wide range of graphic formats to suit your individual needs. All you have to do is supply a high resolution photograph and specify the type and size of reproduction you require. Custom wallpaper is a relatively new product that can be produced in any size. It has the properties of wallpaper and can create stunning displays for relatively little cost. Aluminium Composite prints are a cheaper option than acrylic whilst still providing excellent digital reproduction of images. ACM prints are mounted off the wall. Acrylic prints are the "high end" in graphic reproduction. 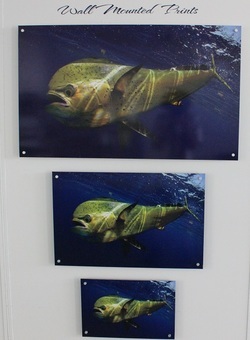 Digital printing is done on the back of acrylic to produce a "mint" finish to the product. Acrylic prints are mounted off the wall. Canvas is a universal medium for artwork. We use the best quality printers and ink to perfectly reproduce you image onto the medium.